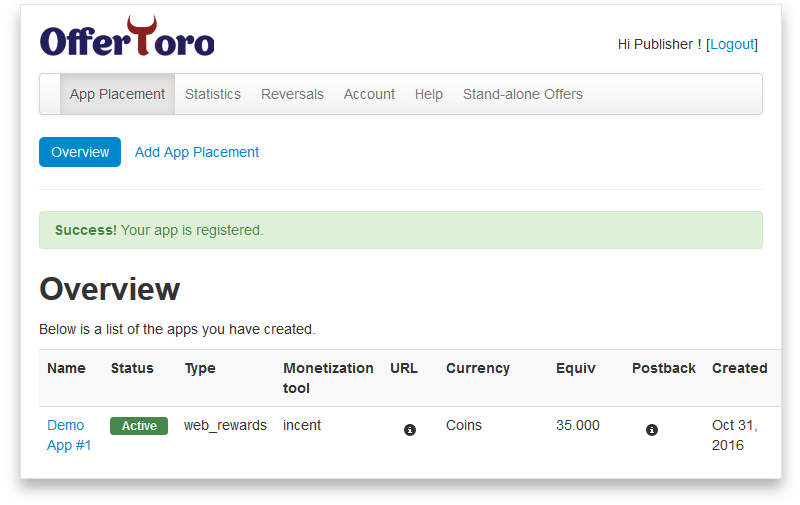 To create your first App Placement click on the Add App Placement link. 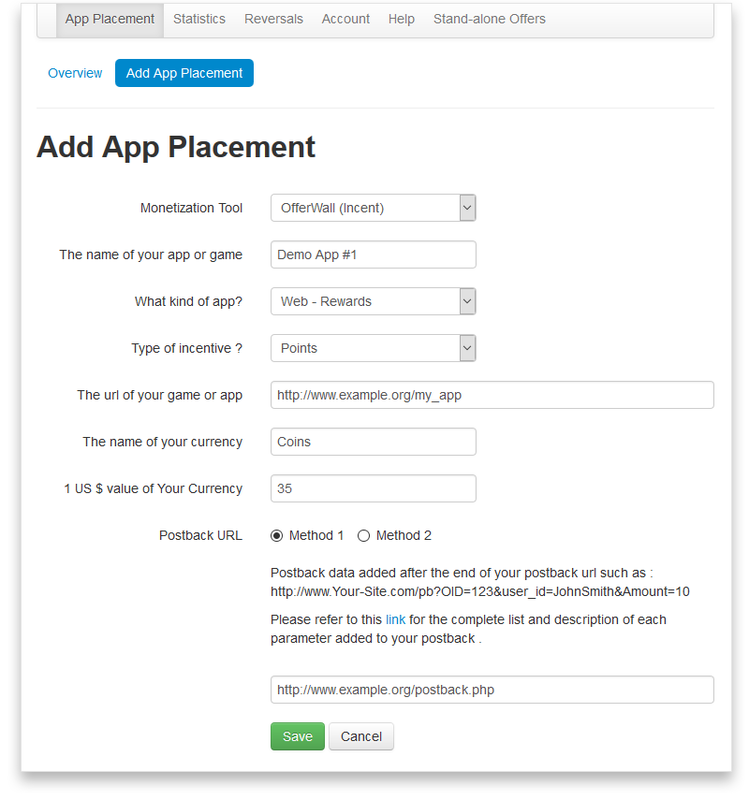 The name of your app/game/website: Give your app a meaningful name. What type of app? : Mobile app? Website? The name of your currency: For example Points or Cents. Exchange Rate: How much of your currency will be paid for the user for each $1 earned by you. For example, if 1 USD equals to 1000 points and you want to do a 70-30 split with your users (70 for the users), you need to define this parameter as 700. Then on our postbacks, for every $1 of payout to you, we will notify you of 700 points for the user, and display on the OfferWall a $1 offer as worth 700 points for the user. Postback URL: A URL where we can send you conversion notifications. 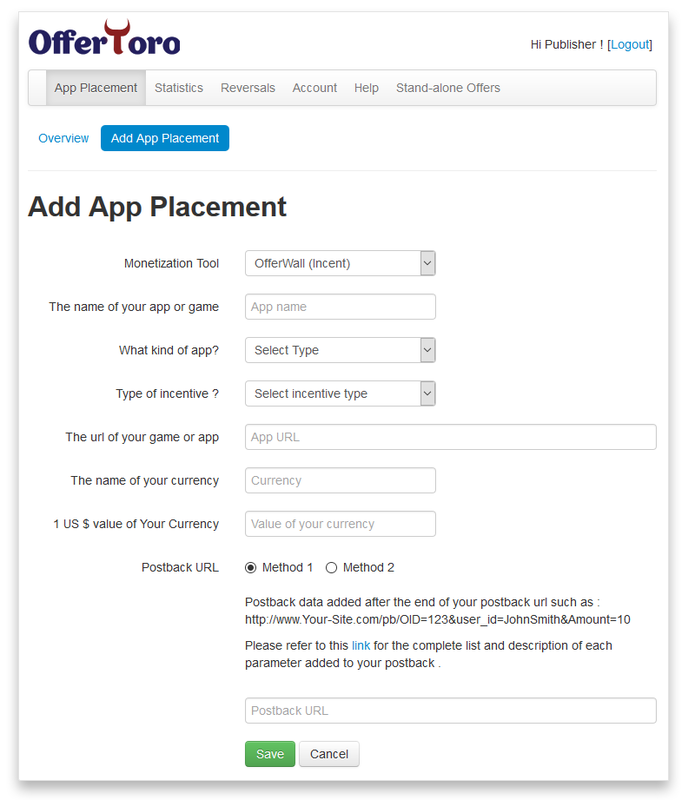 Once you complete the form and click Send, you should see your app placement listed in the App Placements overview section. If it's iOS, click here, and if it's Android, click here .